A stranger who calls himself Prot (Kevin Spacey) seemingly appears out of nowhere following a disturbance at New York's Grand Central Station. 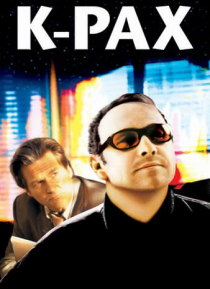 Claiming to come from the distant planet K-PAX, Prot draws the attention of jaded Dr. Powell (Jeff Bridges), whose initial skepticism soon turns to fascination and amazement. Even a team of leading scientists are at a loss to explain Prot's detailed knowled… ge of the star system he calls home. But with Prot's return to K-PAX fast approaching, the search for answers intensifies and the mystery takes on pulse-quickening proportions.